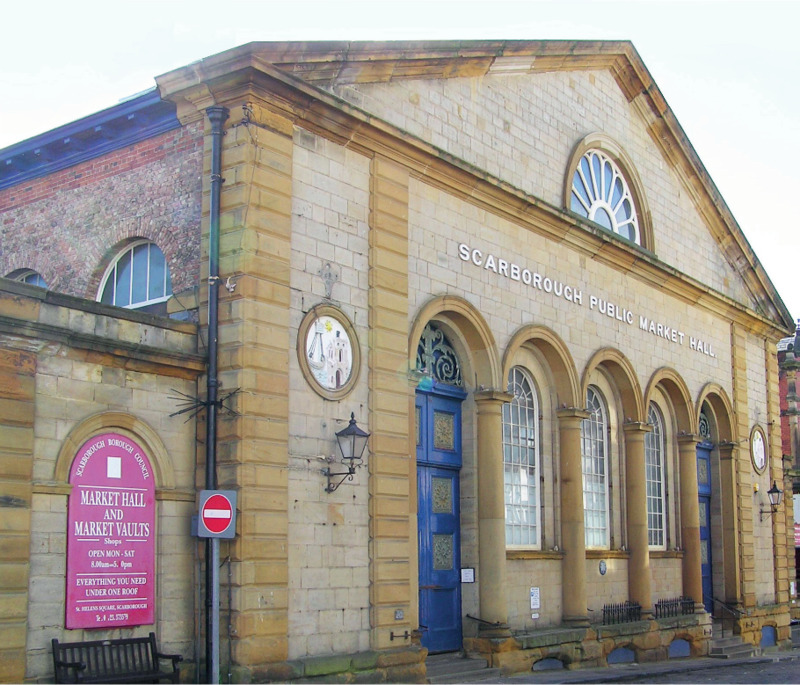 Although built in 1853, the Market Hall is still a pleasing feature of St. Helen’s Square and remains a busy shopping centre Before the construction of the Market Hall in 1853, weekly markets were held in various parts of Scarborough, each often associated with one commodity. 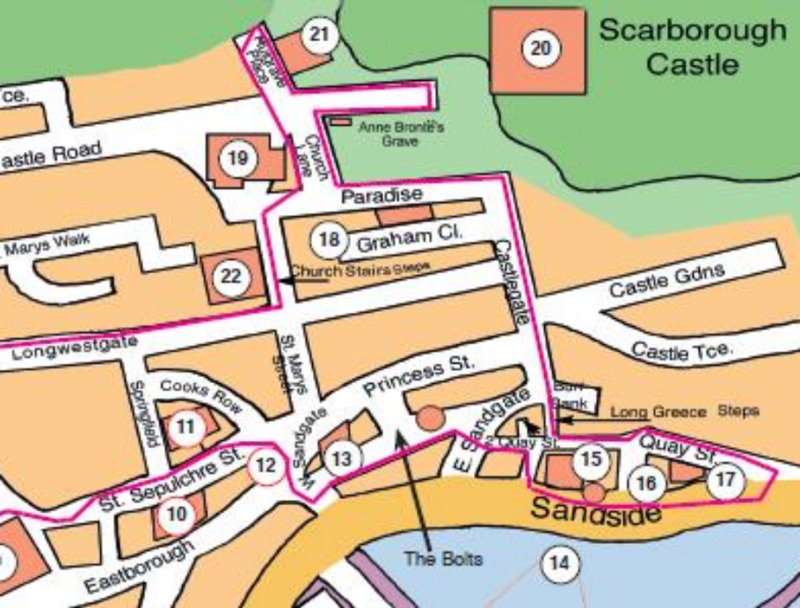 For example, Newborough was the Thursday Market, at which pots, glass and earthenware goods were on sale from Bar Street down to St. Nicholas Street; and stalls of general goods on both sides of the street further down to St. Helen’s Square. On Saturdays, a market was held in Princess Street. alive in local folklore. Walk now to the rear of the Market Hall - either along the adjacent Market Way or through the Market Hall itself - and you are at the top of St. Sepulchre Street. About 200 yards down this street on your right is Trinity House. It can be identified by the superior stone facing and the lettering across the width of the façade at second-storey level. Click here to continue your walk to 10. Trinity House.